Picking up where I left off yesterday, what are some good questions to be asking about the Bible? What sort of literature is this? The Bible contains all sorts of different types of literature: historical prose, poetry, songs, apocalyptic literature, commentary on events, letters, and so on. It helps to know what sort of literature you are reading – just as it helps you to understand if you are reading a biography, a newspaper article, an editorial or a science fiction book. Why was it written? As well as attributing the initial inspiration and the content to the inspiration of the Holy Spirit, there were also historical reasons why the different sections of the Bible were written down. Much of the Old Testament was written in order to preserve the story of God’s encounters with the Hebrew nation during the exile in Babylon when their culture and history were under threat. Luke wrote his gospel so that someone called Theophilus could be certain of the facts about Jesus. Paul wrote letters to some of the churches to correct some of their errors. What is the context? At the vicar factory where I trained there was a mantra: “A text without a context is a pretext.” It is unwise to look at an individual passage in the Bible without being aware of what is happening around that passage. For example, you could take one of Jesus’ parables (fiction with a purpose) and if you started after the bit where the gospel writer tells us that Jesus is telling a parable and finish before he explains it (when he does) you might think it was an historical account. What did the writer mean the readers to understand? It’s easy for us to jump straight to applying the text to us today. But if we understand a bit of what it meant for those who read it first it will give us a better understanding of what it might mean for us today. For example, in Jewish culture 120 people were needed to establish a self-governing synagogue. So when Luke tells us in Acts 1 that there were 120 believers he is telling the readers that the new church was a valid form of faith community. These are just some examples of the sorts of question that can help when reading the Bible. At this stage you may be thinking that this is very complicated and wondering if you can do this. The answer is ‘yes’ and that there are lots of resources online and in books that can help. 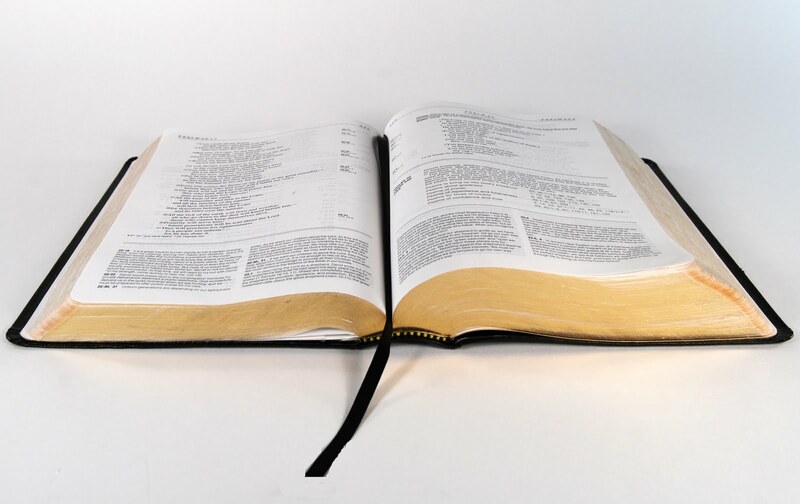 Having a Bible encyclopaedia or handbook next to your Bible will help you by providing many of the answers and background information that you need. There are Bibles with lots of help in them, even if yours doesn’t always consult the footnotes. There’s also help in the way that text is laid out in lots of Bibles. Look at the Psalms and then compare Genesis 1 with the rest of the text layout in Genesis. What might that tell you? In our church, sometime probably after Easter, I want to run a series of sessions looking at the Bible – it’s history, geography, themes, how it came together, how we can interpret it and so on. If you are part of our church, watch this space. It might be that I could create another section on the blog and post the notes up there too. In the meantime the best thing you can do is get reading the Bible and, if you get stuck, ask your Minister for some help (or post a question here and we’ll see what the collective wisdom is! ).